Celebrities love a getaway, and, when they do go abroad, it’s usually somewhere hot and tropical. In fact, some celebs love it so much that they even buy homes abroad, or, in Richard Branson’s case, islands! 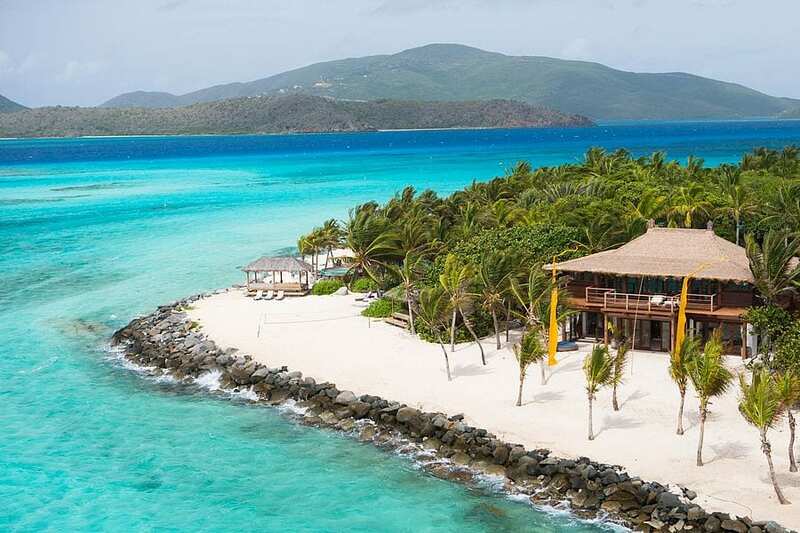 Necker Island is part of the British Virgin Islands and located in the Caribbean, and the 74-acre island is owned entirely by Virgin business magnate Branson. The island is a popular celebrity hang out, with Branson and his family spending a huge amount of time there. The island is a tropical paradise, and it’s easy to see why it is so popular among celebrities, as well as why Branson shelled out a small fortune for it. The island has been in the news a bit recently and is definitely a destination it would be good to know more about it. So we’re going to look a little closer at the history of the island, Branson’s purchase, and natural disasters that have affected the island. Necker Island is part of the British Virgin Islands and located almost 4 miles from another Branson-owned island, Mosquito Island. The island was named after Johannes de Neckere, a Dutch commander from the 17th Century. The island didn’t really have any notable habitation until the 20th Century. In 1965 two journalists for The Daily Telegraph stayed on the island, but, of course, it wasn’t the opulent paradise it is today, and they left after one night! Richard Branson purchased the island and turned it into the tropical paradise it is today. Branson had wanted to buy one of the British Virgin Islands for some time and was made aware of the fact they were up for sale in 1978. He visited and fell in love with Necker Island almost immediately. Branson was only just starting out in his career at the time and made a low offer for the island of $100,000 – it was promptly rejected. The following year, at the age of 28, he bought the island for a sum of just $180,000. One of the caveats of purchase was that the government stipulated that he must develop the island within four years or risk losing it. This led to Branson sinking £10 million into the development and revamping of the island to turn it into his ideal vacation paradise. Spending three years, and using a lot of the local materials, Branson managed to turn the island into a home away from home and built a 10-bedroom mansion on a hill above the beach. The island can accommodate around 30 guests, and they will have the run of the island. 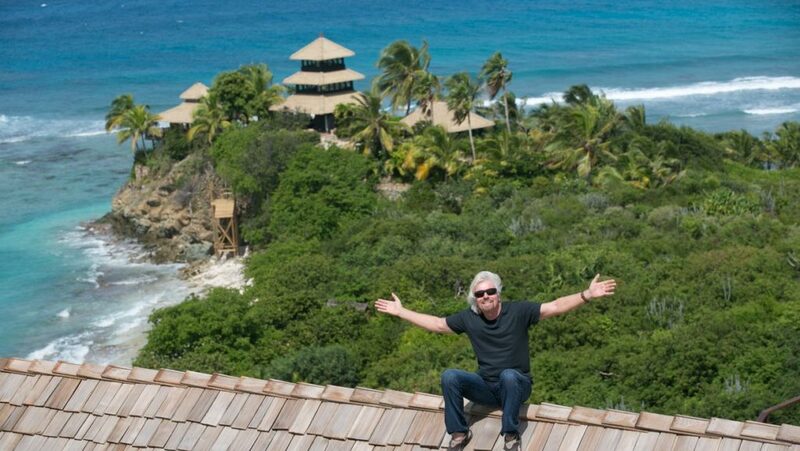 In recent years Branson has spent more time at Necker and is currently living there with his family. There have been two natural disasters that have had a direct impact on the island in the last 10 years. The first came in 2011, when Tropical Storm Irene hit the island, and caused a blaze, which resulted in The Great House being burnt down. Branson was on the island at the time with family and friends, including his mother, and the actress Kate Winslet. Following the storm, The Great House was rebuilt and extended to what it is today. The second time the island was affected by a natural disaster came recently, in September 2017, with Hurricane Irma. The hurricane is said to have destroyed most of the island, while Branson and his family sought shelter indoors. Nobody was hurt, but there was a lot of damage inflicted, and it seems like Branson might have a big repair job on his hands. 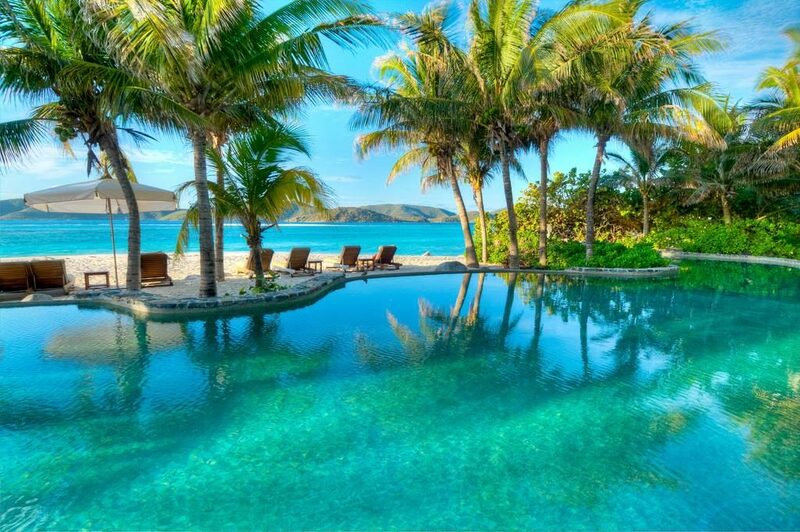 Necker Island is a tropical paradise we would all love to stay at if money were no object! But, the problem with tropical islands is that they are subjected to tropical weather, and that’s sometimes not a good thing. Hopefully, Branson can make the repairs needed on his island, and perhaps protect it from future bad weather.